MY HAND LUGGAGE ESSENTIALS | in style of Emily. Hello! So I'm going away to Malawi in a couple of days which is super exciting!! If you've watched my vlog on Youtube (linked down below) then you would have seen me starting to pack a few things and organising my different bags. I'm going for 3 weeks with the charity AMECA and am going to be volunteering in a local children's hospital as well as refurbish and decorate a new school that is opening (so amazing right?). I think we're doing a few other activities too during my time away such as go on safari (literally my dream seeing elephants - *heart eyes*) and also visiting the gorgeous Lake Malawi! A full blog post will of course be up about my whole trip once I am back so keep your eyes peeled for that one! 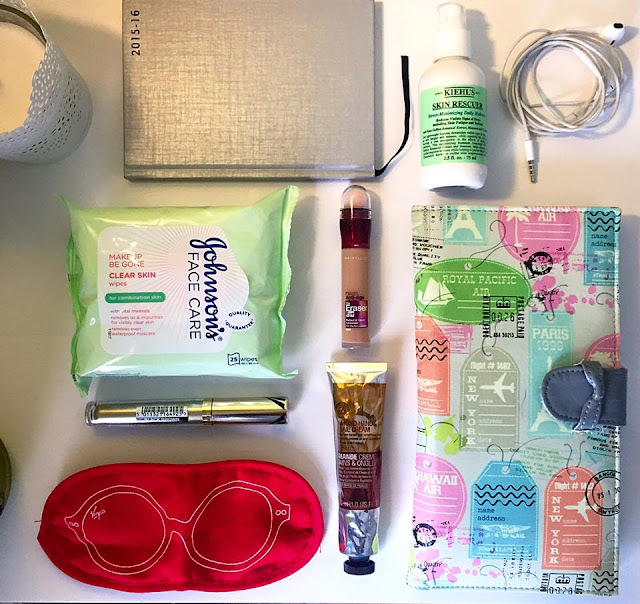 2) Face wipes - these come in so so handy when travelling because they are really easy to carry and can be used for so many different things! 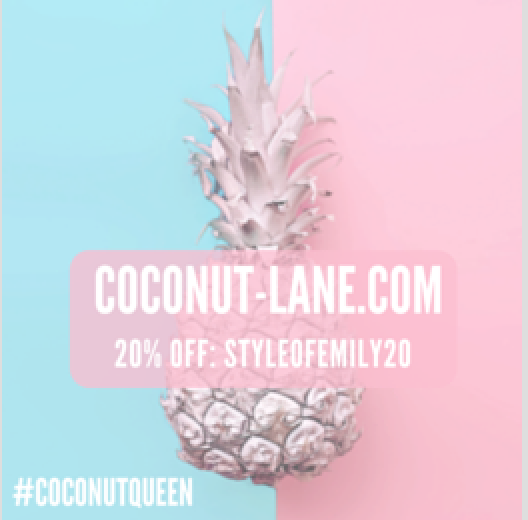 They can be used to freshen up your body if you're feeling a bit sweaty and gross (I definitely will be after 14 hours of flying), wiping your hands after eating, cleaning up any spillages (I'm very clumsy with dropping everything) and also freshening up your face and eyes. 3) Moisturiser - I always carry a face moisturiser in my hand luggage because my skin gets really de-hydrated and dry when flying. 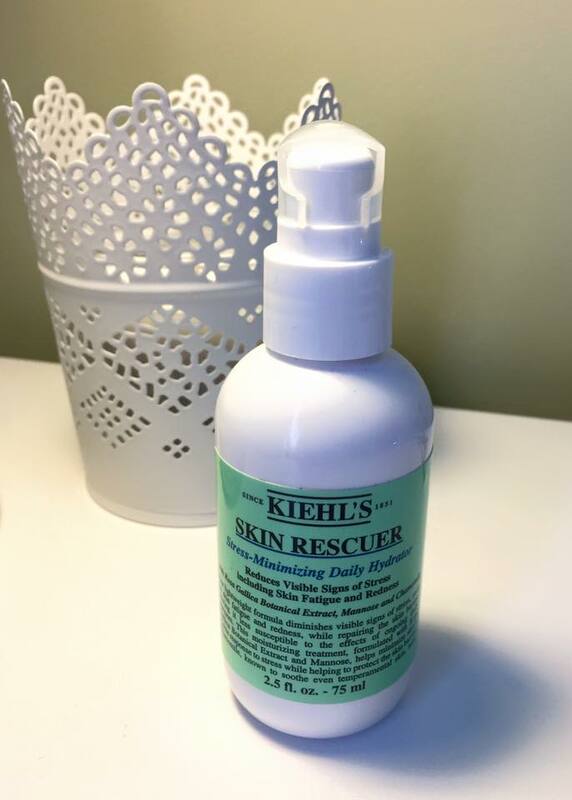 The Keihls Skin Rescuer is amazing as it's under 100mls so can go into your hand luggage, and it's also really rich and helps to calm redness and stressed skin (my face in a nutshell when on a plane). It also has a little pump for application which means there won't be any leakage I'm your bag and you don't have to worry about the lid coming off! 4) Hand cream - same reason as to why I carry moisturiser...everything gets horribly dry when travelling and my hands are no exception! 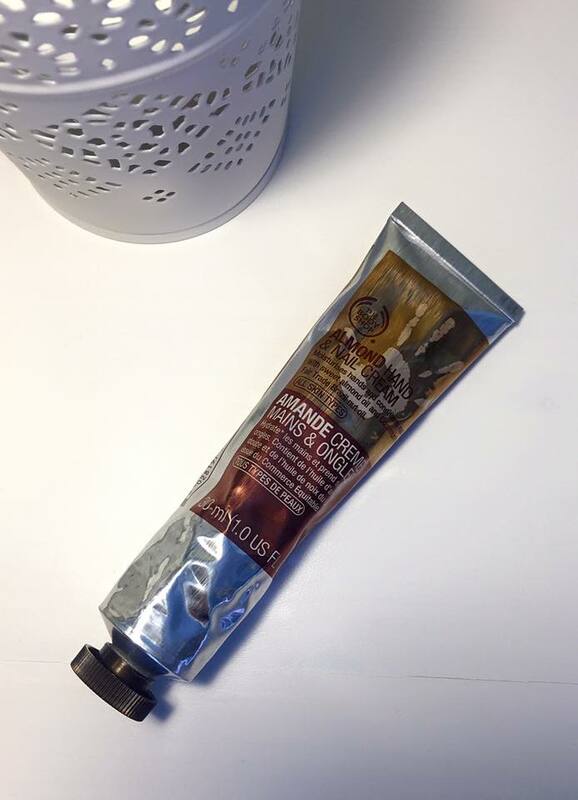 This is my favourite hand cream from The Body Shop and it is the Almond hand cream. Really good size and smells amazing! 5) Travel wallet - I never used to own one of these until recently and oh my godddd they make my life so much easier! 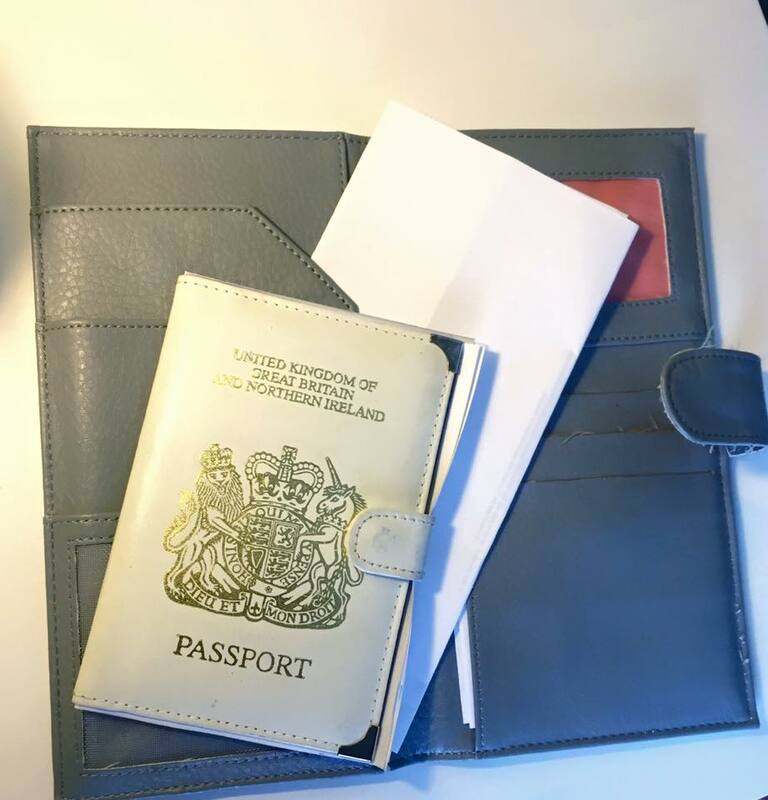 I used to struggle finding my passport, flight tickets, travel insurance documents and boarding passes because they'd all be separated at the bottom of my bag. But now I've got my travel wallet, everything can be put into one place and it's so much easier to find in my bag (love a bit of organisation!) This one is from Paperchase. 6) Socks - am I the only person that gets really cold feet on the aeroplane?! Anyway, I do! So I always carry a pair (sometimes two pairs) of thick or fluffy socks. I take my shoes off on the plane as soon as I'm seated and then put my socks straight on...well, you might as well make yourself at home! 7) Sleep mask - there's nothing worse than wanting to take a nap when you're travelling and the person next to you/in front/behind has their reading light on or has the window shutter wide open. So I always take my sleep mask because that way it doesn't matter what people are doing around me...it still blocks out the light! I actually got this one from a previous flight I went on...maybe I should invest in a slightly prettier one! 8) Phone - obviously when you're flying you can't be checking your Twitter or Instagram (although I heard some aeroplanes have wifi now which is weird) but I like to have my phone handy so that I can listen to music and also take pretty pictures of the sky....yes we all take window photos! Also it's a personal item so I don't want it going missing or getting broken so I keep it with me at all times. 9) A notebook and pen - I always find inspiration when I'm least expecting it and not looking for it. So it's always good to have a notebook and pen handy so you can jot down any ideas you get along the way! For me...its blog ideas. But for other people it may be completely random ideas like someone's birthday present or what to name your dog (yes random)..but you never know when you might need to write something down! I also like to write down places I visit/eat/stay during my travels so that I can add that into my travel journal when I'm home. 10) Make-up - now as I said before, this trip isn't like any other holidays I've been on before and I'm going back to basics with my beauty products and hardly taking any! But even though I'm not taking any foundation, blusher, bronzer, eyeshadows etc (ahhh I know, literally nothing), I'm still going to take mascara and concealer but THAT'S IT! I'm taking mascara for those days when my eyes are super puffy from the heat/hayfever and I would like to look as though I am somewhat awake! Also I'm going to be documenting this trip with lots of photos and videos and I don't want to look like I completely have no eyes (my eyes go super tiny when I'm tired or squinting in the sun - not cute). 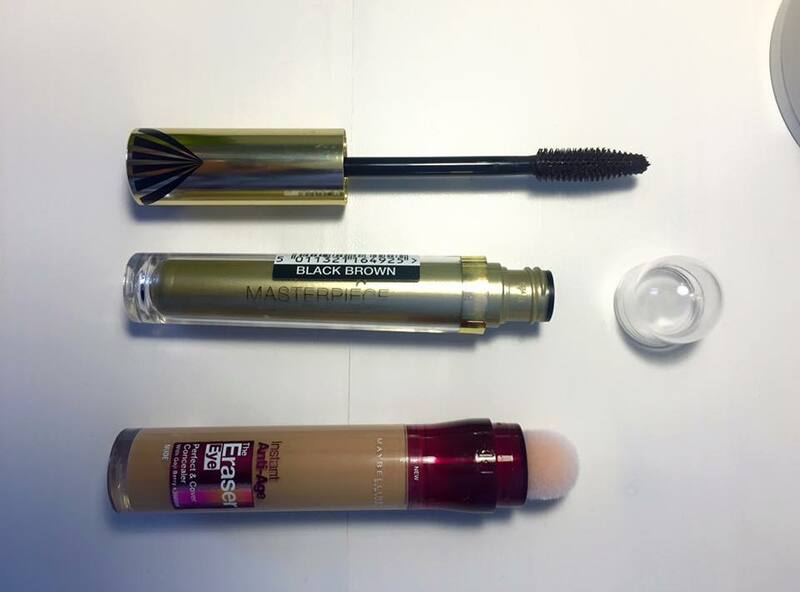 The mascara I'm taking is by Maxfactor and it's in a black/brown shade which is a lot more natural than a rich black. For concealer I'm taking my Maybelline Anti-Age Eraser Eye concealer (and no brush ahh) because this is really good for hiding redness and dark circles underneath the eyes. As I'm not taking any other makeup products for my face, this will be really good to use if I breakout or just to put on areas of my face that I want to perfect slightly without covering my whole face up. Plus I'll be wearing suncream on my face at all times and I don't want this to rub off by putting makeup over the top (sun protection first and foremost ladies and gents). And that my top 10 essential hand luggage items! What essentials do you take away with you? 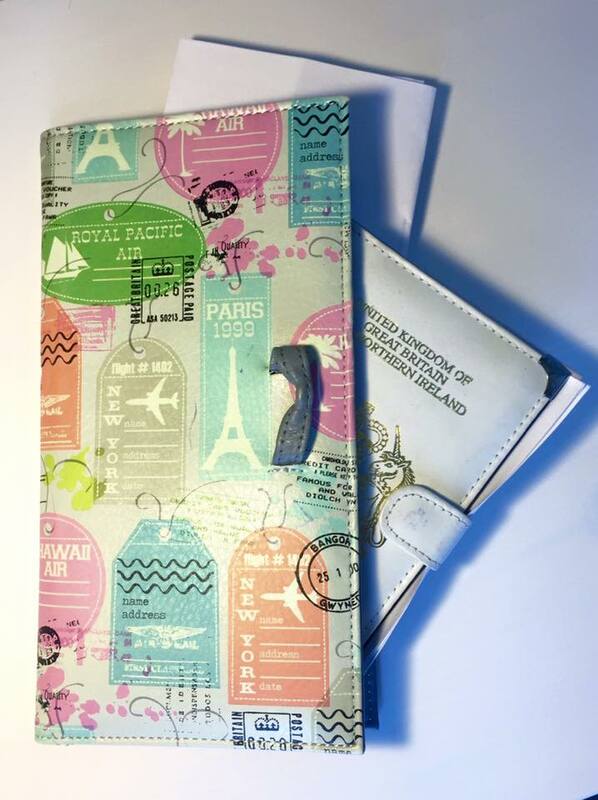 Are you going travelling anywhere soon?